For eighteen years, Jude Farraday has put her children's needs above her own, and it shows—her twins, Mia and Zach, are bright and happy teenagers. When Lexi Baill moves into their small, close-knit community, no one is more welcoming than Jude. Lexi, a former foster child with a dark past, quickly becomes Mia's best friend. Then Zach falls in love with Lexi and the three become inseparable. Jude does everything to keep her kids out of harm's way. But senior year of high school tests them all. It's a dangerous, explosive season of drinking, driving, parties, and kids who want to let loose. And then on a hot summer's night, one bad decision is made. In the blink of an eye, the Farraday family will be torn apart and Lexi will lose everything. In the years that follow, each must face the consequences of that single night and find a way to forget…or the courage to forgive. I read this book in one sitting and I think I cried the entire time. The characters are vivid and believable. 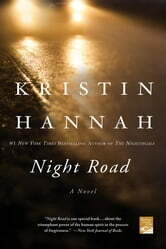 When I recommend this novel, I tell the reader that its an amazing and heartbreaking story. A must read. Once I started reading I couldn't put it down! I found another great author whom I am sure to enjoy more books from! Thank you! This book was an amazing read! A story of love, happiness, and order, sadness, grief, and discovery. Couldn't put it down till the end! 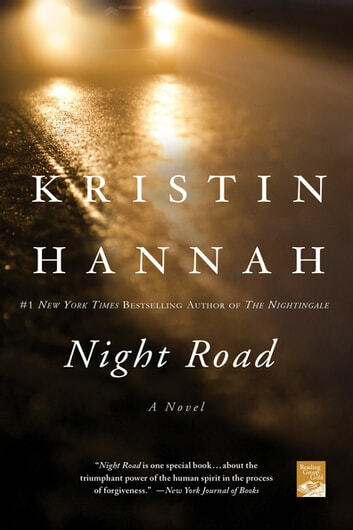 This is my 5th book of Kristin Hannah's and I can't read them fast enough! She is my new favourite author . What I enjoy most about her writing is that she tells the Whole story. You feel like you know the characters intimately. Every story leaves me feeling satisfied . As a wife, mother and friend she tugs on your heart strings and writes a story that we can relate to in all of our different roles. This is a must read for any teen who just got their license or is thinking about getting it! Be prepared to cry.